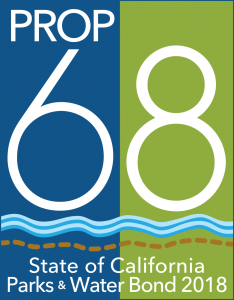 California Consulting is pleased to announce the California Department of Parks and Recreation: Statewide Park Development and Community Revitalization Program (SPP) (Proposition 68) deadline is August 5, 2019. - California Consulting, INC.
California Consulting is pleased to announce the California Department of Parks and Recreation: Statewide Park Development and Community Revitalization Program (SPP) (Proposition 68) deadline is August 5, 2019. 3. RENOVATE an EXISTING PARK If you or your entity would like California Consulting to write this application, please contact our Southern California Office at 323-728-9002. California Consulting CEO, Steve Samuelian, attended the Orange County Business Council annual gala recently in Irvine. The sold-out event was packed with more than 800 community leaders and elected officials from the federal, state, and local levels. Many of California Consulting, Inc clients attended the event. California Consulting provides grant resource referral services for many cities in Orange County. Congratulations OCBC and President Lucy Dunn for a wonderful and successful gala. Pictured left to right: Maryann Marino, CC INC Associate, City of La Habra Councilman Tim Shaw, and Steve Samuelian, CC INC CEO. California Consulting is a “League Partner” for the League of California Cities and company CEO Steve Samuelian is attending the annual City Managers Department Meeting this week in San Diego. Steve is pictured here with League of Cities Director of External Affairs Bismarck Obando at the conference.